Education Updates: Spring is a busy time of year for education programs! Envirothon was held Tuesday, April 2nd in Hoopeston. Coles County was represented by 4 teams from Oakland. 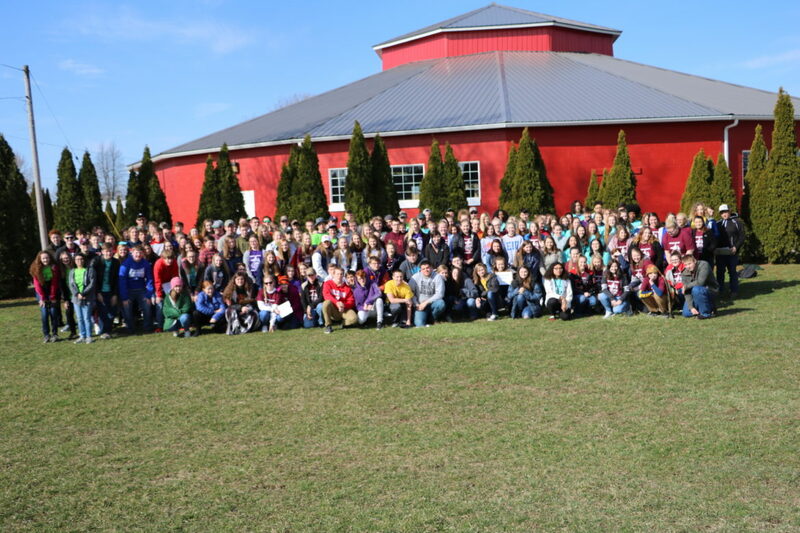 A total of 39 teams (pictured above) from Vermillion, Champaign, Douglas, Coles, Edgar, and Clark counties came together to test their knowledge on aquatics, soils, forestry, wildlife, and a current environmental issue. Conservation Field Days, May 6th and 7th, brings 4th graders from across Coles County to Lincoln Log Cabin to explore topics such as Illinois mammals, soils, habitat, pollinators, and watersheds. The kids also enjoy watching the rainfall simulator in action! This is a great day to explore the rich heritage of Lincoln Log Cabin. Two of our most popular classroom programs are for Earth Day and Arbor Day. For the Lorax Project, Education Coordinator Terina Coffey dons a cat-in-the-hat style, red & white striped hat and bow tie and reads Dr. Seuss’s environmentally-themed book “The Lorax” to kindergarten and 1st graders. This year alone, Terina visited 18 classrooms and presented to over 450 students. The Arbor Day program features a reading of “The Giving Tree,” and discusses the importance of trees. Thanks to your generous donations, we will be able to provide a white pine seedling to every third grader in Charleston, Mattoon, and Oakland school districts!